Really good hostel, moden and comfortable! Free breakfast every morning and pancake on sunday! The staff is really nice. Kitchen, bathrooms and rbedrooms always clean! At all time, a cleaner is present. The vibe was cool, I only stayed over the weekend and I was working all the time but everyone seemed friendly enough. Everything was reasonably clean. The kitchen was really clean actually, but it was also quite small so maybe that was the reason. There were only two showers and three toilets for all the rooms that didn't have an ensuite but this never seemed to be a problem as there was always one available. For the price, great value I'd say! 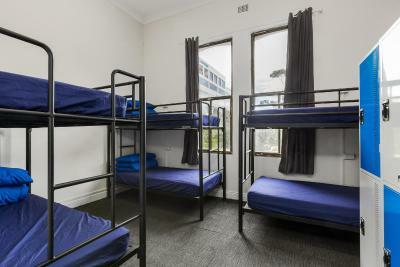 Convenient location, close to southern cross station, value for money. 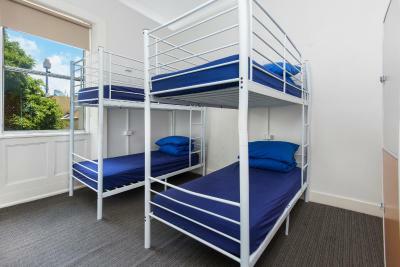 Quite big and clean room, comfortable beds, good wifi. The location is super! You just need to walk straight from southern cross station. Bedding was awesome, super comfortable and a great sleep. Staff were helpful with all enquiries and responsive to all issues presented. 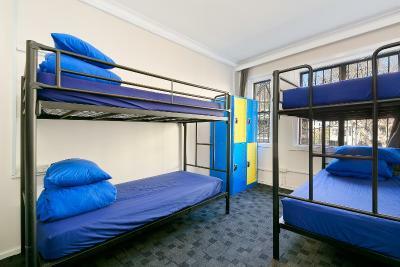 Personal was really friendly, common spaces were clean and comfortable, rooms were clean, rules clear, very good place! 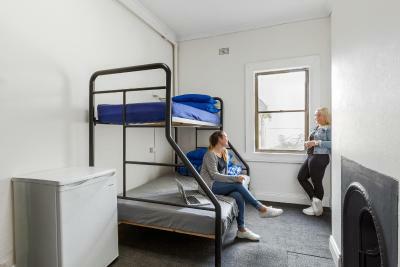 Renovated and offering a range of events, Nate's Place Backpackers Melbourne is located 12 minutes' walk from Southern Cross Station, the Skybus, train and bus terminal. 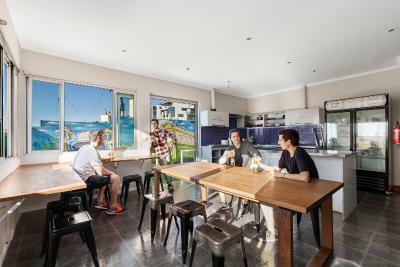 Nates Place Backpackers features views over Melbourne, free unlimited WiFi, free breakfast, free Netflix, free rice and pasta and both tea and coffee. Free pancakes are included every Sunday. 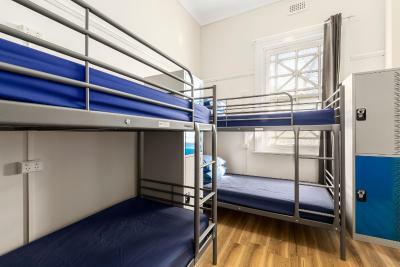 The property is 10 minutes' walk from Queen Victoria Market, 2 minutes' drive from Docklands and 3 minutes' drive from both Flagstaff Station and Etihad Stadium. Melbourne Airport is 17 minutes’ drive away. 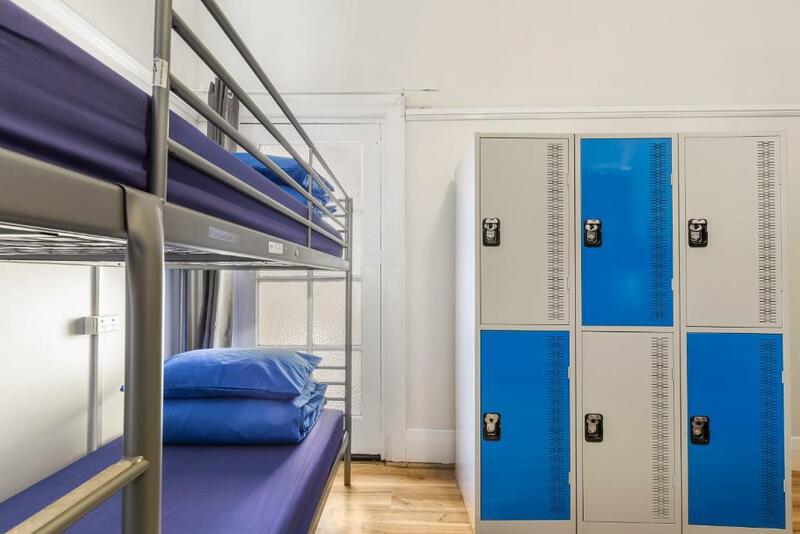 Guests have access to a shared kitchen and a 24-hour TV room with a 2-tiered grandstand, a 65-inch flat-screen TV and a DVD library. 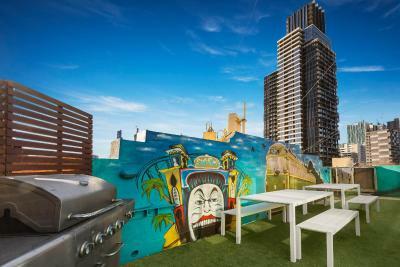 Free weekly BBQ nights on the rooftop terrace are available and each Sunday there is a movie night with popcorn. 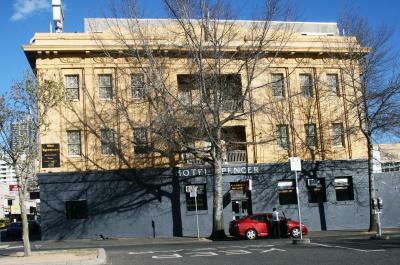 West Melbourne is a great choice for travelers interested in markets, sightseeing and city walks. 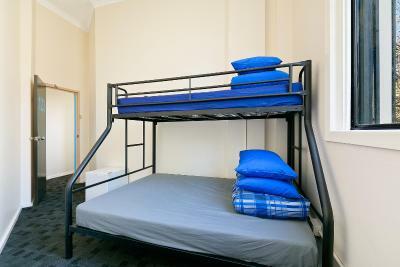 When would you like to stay at Nate's Place Backpackers Melbourne? 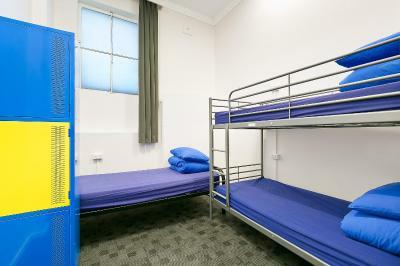 Please note that children under 18 years of age cannot be accommodated in this dormitory room. Public parking is available at a location nearby (reservation is not possible) and costs AUD 8 per hour. This room has a private private bathroom. It features sliding doors with direct access to the the communal patio and roof-top balcony. Area Info – This neighborhood is a great choice for travelers interested in markets, sightseeing and city walks – Check location Good location – show map Guests loved walking around the neighborhood! 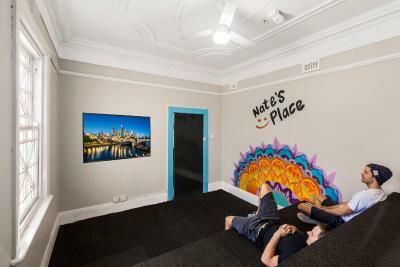 House Rules Nate's Place Backpackers Melbourne takes special requests – add in the next step! 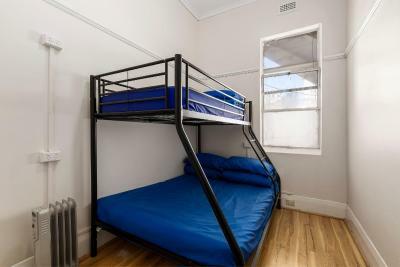 Nate&#39;s Place Backpackers Melbourne accepts these cards and reserves the right to temporarily hold an amount prior to arrival. 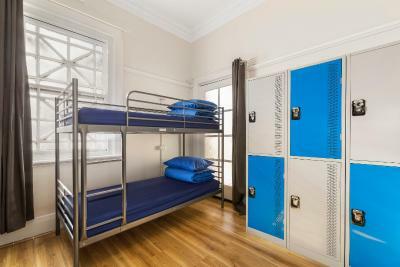 Nate's Place Backpackers Melbourne accepts these cards and reserves the right to temporarily hold an amount prior to arrival. Please note that you must show a valid, government issued (passport, drivers license) photo ID and credit/debit card upon check-in. The staff is really nice and helpful. The location is good as well. 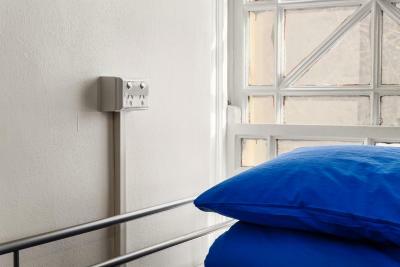 But what I like to most is the common area, very comfortable and clean. One man of our room brought girl and slept together. He was my next bed so I heard all their noisy and that’s disgusting. Even no one’s care about that! No common space where you can sit with your computer. 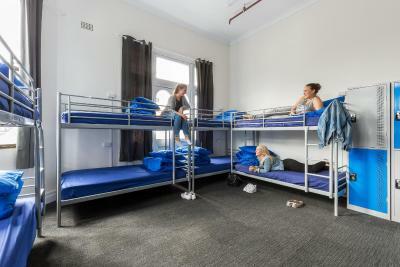 Small 8 beds rooms, become messy with all bagages When I arrived I asked for a dorm bed at the reception, the girl there told me that there is only a private room free then I started to leave and I saw plenty of beds available on booking.com and booked one !! Someone can explain ? All rooms were very clean and the staff were lovely. It was very clean. Leo, the guy at the reception was very friendly, funny and helpful! Shower was a bit drippy. Good value for money. Nice TV room to wait in. The location wasn't the best but it was a little bit less than a ten minute walk to the nearest tram stop which was in the free tram zone so that was good. The bathrooms were often really wet and there wasn't really a way to get the water out of there. Breakfast was as basic as anywhere else (cornflakes, toast, jelly/peanut butter coffee/tea), but would do the job. I got up in time for the pancake breakfast on Sunday but didn't find any pancakes which I think is not really acceptable if you say there's gonna be pancakes till a certain time, than someone has to make sure they are making them till that time. I did like that the breakfast times were different on the weekends! Great stay! 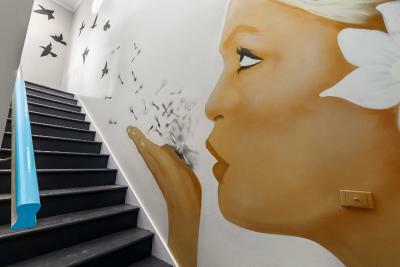 Super friendly hostel, perfect place to meet people, very cool staff ! And a special thank to Leo who’s very kind and helpful ! Guest were making noise until 2am in the morning and no one stop them. Very cheap. So it was affordable. 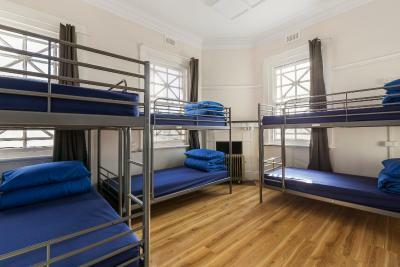 The staff are all very friendly also because it is a small hostel you get to know everyone staying here. Leo is very professional, he is always friendly and happy to help.